Entering the new year there's been a lot of speculation as to what the roller derby season will look like all around. There's been conflict, drama, changes, moving, retirements, lots of words thrown around, even the startup of a brand new recreational league in the process. Much in the same vein of the old pro-wrestling territories before the '80s, the idea that every league appears to be morphing into something new with different rosters and players scattered across the board, this may be the most unpredictable year for competition and overall demonstration since the first round of big press exposure the leagues got over five years ago. Gavin: Hello ladies! First thing, tell us a bit about yourselves. Honey: By day I am Lacie M. Peterson, Registered Dietitian and Certified Diabetes Educator. 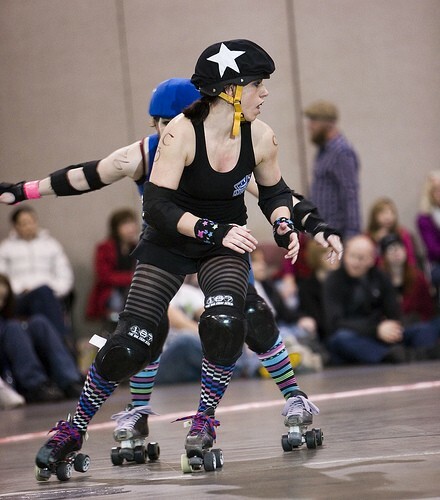 On Mondays, Wednesdays and Saturdays I morph into Honey Delunatic, skater and President of Wasatch Roller Derby. This will be my fifth year playing roller derby. 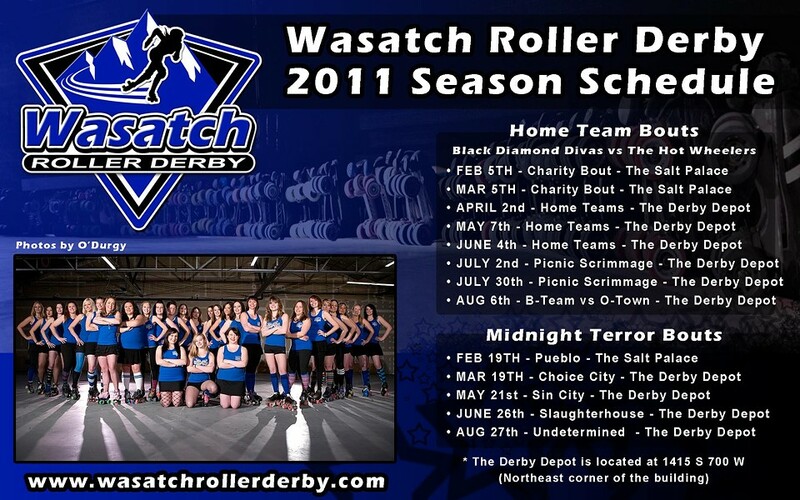 A bit about Wasatch Roller Derby... The mission of WRD is to focus on providing recreational amateur athletic entertainment that improves member’s individual athletic ability, self-discipline, and character while promoting the sport of roller derby. We endeavor to provide a supportive environment for women to excel in both their individual successes and in a team environment. We firmly believe that together we can act as a catalyst for profound change and enrichment. The vision of Wasatch Roller Derby is committed to giving back to the community. Many of our events will include some aspect of community service, which may include special events and appearances, donations, volunteering, or just helping to raise awareness for other organizations. Our goals are to promote Roller Derby in Utah Work towards national tops twenty rankings in WFTDA Create a self-sustaining organization that includes no dues and paid travel for members Give back to the community in the form of charity and monetary means. The values we have areas follows... Empowerment: Provide a safe and supportive environment for women to excel. Diversity: Respect and involve women from all walks of life. Community: Develop relationships and give back through service and volunteerism. Democracy: Maintain democratic principles and constructive dialogue. Excellence: provide rigorous training and maintain code of conduct for all skaters. Medusa: I am Medusa Damage. This will be my fifth season playing roller derby. I work at home and run several small businesses for myself and others. My first love is accounting and that has opened many doors for me. I love construction and have my general contractors’ license. I have two teenage children who both skate. My daughter skates for the Wasatch Junior Rollers and my son had been a referee. Staying active has always been important to me and my family. Gavin: How did each of you take an interest in roller derby, and what motivated you to get involved? Medusa: I skated when I was a kid and spent a lot of time on roller blades with my kids. I have always been active and motivated to work hard. I started playing roller derby to branch out and meet new people. Working at home I could see myself never wanting to leave the house. So roller derby was a perfect fit. Now it is my life. Honey: Originally I started skating with the Davis Derby Dames (which has transformed into other leagues here in Utah). I started training with them because they had open recruitment. I did not know anything about roller derby at the time. I just knew that I could skate. I was interested in being involved because I had just graduated college and had extra time on my hands. Who knew where that would lead. I was living n Salt Lake and I heard that SCDG was having tryouts and I then joined that league. I played for Salt City for two years and I was the Captain of the Bomber Babes for that entire time. Gavin: What was it like for each of you training and eventually doing tryouts for different leagues? Honey: I skated when I was little. Before playing roller derby it had been twenty years since I skated. I just strapped on the skates and keep trying my hardest and improvement came with time. Tryouts are always nerve racking. I am not a fan but I did them and started my roller derby journey. Medusa: I have always been dedicated to keeping fit. I skated for a month straight before tryouts. I didn’t have dedicate so much time before trying out but I had to be sure!!! I was terrified to tryout but in the end it was not that bad. That is why WRD does things different. We will have tryouts because people need deadlines. But we like to work with people one on one. We also support the Red Rockettes and encourage girls to start learning about roller derby there. Gavin: I know a few of you previously skated in the Salt City Derby Girls. What was it like for you being a part of the league and competing? Medusa: I started with SCDG as a Bomber Babe. They were amazing years playing on the bombers. I loved the competition and letting off steam on the track. Play Hard or Go HOME! Honey: I had a great time playing roller derby. That is why I still do it today. Being the captain of a team was an amazing experience and I met some amazing people. Gavin: What eventually led to some of the women leaving a few years ago? And are there still some sore feelings or are things on better terms now? Honey: I never had any ill feelings leaving Salt City. I had a different vision and I knew that I could accomplish it. Medusa Damage and I saw more for roller derby in Utah. With her great business sense and my ability to teach skating and train derby girls we thought we had what it took. We wanted three things: to skate hard, play interleague and give back to the community. That has been our focus ever since. I think people at SCDG thought it was personal... it wasn’t. I just wanted something different so I went out and made it happen. Medusa: Honey Delunatic and I had a different vision when it came to roller derby. We loved roller derby and that is what we wanted to focus on. We never had time to worry about other leagues when we started WRD. We were so busy training and staying on track with our goals and mission. That was most important. 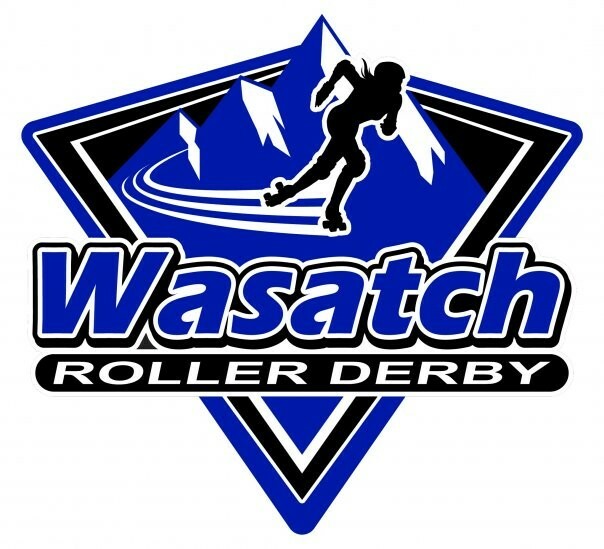 Gavin: How did the idea come about to start up the Wasatch Roller Derby? Medusa: I had a crazy guy at the airport talk to me about wrestling and just staying true to yourself. It really hit me hard! So WRD was born. Honey: Medusa overheard a conversation about wrestling. They we talking about that the wrestlers gave 100% whether 5 people were watching or 5000. We did not need to start a league we could just start a team. For the first year that is all we had and it has evolved from there. 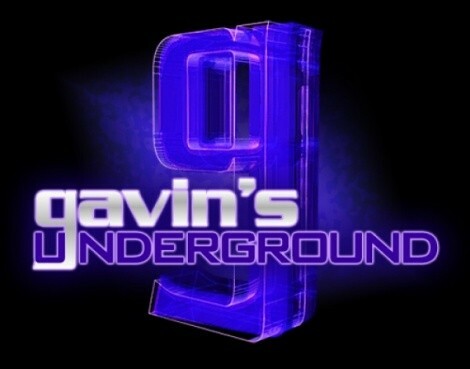 Gavin: What was like for you setting up a brand new organization and getting everything in order? Honey: It’s all about paperwork. I think what was made us most successful is that through everything we keep our mission and vision in mind. We had something great we wanted to accomplish. We didn’t do things to make money we did it out of love for roller derby. Even when times are hard we just look to our goals and that helps up to move forward. Sometimes people forget that this is a business. There is a lot of time and work that goes into making things function. Everyone who is part of this organization does it on a volunteer basis. It is really amazing actually. Medusa: WORK WORK WORK. I love paperwork, Honey can train, and Ian my husband handled the art and logos. Together we work hard. We had some great people come on board to help. We thank everyone that believed in us from the beginning!!! Gavin: When you officially held tryouts, what was the turnout like and how did you end up formulating the team? Medusa: We recruit all year. We have tryout just because it is the standard that people expect and people need deadlines. We offer a couple options for people, really individuals should just contact us if they are interested in joining. Honey: I am not a fan of tryouts, as I mentioned before. I like people to contact us and say “ I want to play roller derby!”. I will help them take the steps to achieve their goal. The reason why we do them is to give people a final date. Some people have commitment issues and this gives them a time line to work with. I work with recruits from October to January and spent most of those months recruiting and training skaters. Once January comes our official season starts and we do not have the time to dedicate to training people. There is also a recreation league called the Red Rockettes. It is a great place to get involved if we are not recruiting. Gavin: What was the first year like for all of you, and what was the fan reaction to the season? Honey: It was so much fun and really hard at the same time. There was a lot of skating, a lot of paper work and a lot of behind the scenes work. We were such a tight knit group that every moment was worth it. We try and keep things tight knit but it is hard when you are used to having twelve skaters and then you have close to forty. We continue to work on our fan base. Since we are a non-profit organization we work hard to give as much money to other charities as possible. All of our advertising comes from word of mouth and or free media. Fans love WRD. We try and be very family friendly and this way everyone can enjoy the great sport of roller derby! Medusa: We had a great first year. Starting WRD was more difficult that Honey or I ever anticipated. It started off a bit slow since we did not have a permenant venue. We found that it was difficult marketing a new league. We slowly gained momentum and here we are starting year three! Gavin: Aside league play you compete with several established and minor leagues around the state. How is it for to have that kind of bond and competition with other outfits? Medusa: We support all of the leagues here and nationally. We find that every year that does by we continue to make stronger bonds with other leagues nationally. It can be very difficult because we have such an aggressive game schedule it is difficult for us to make all of the other leagues game. We do our very best to support every in the ways that we can. Honey: We are still working on this, we have had some great interactions with other derby girls in the state and we continue to foster new relationships all of the time. We have focused more of playing teams from out of state than we have playing utah teams. Gavin: Was it a challenge joining up with the WFTDA or were they happy to welcome you in? Honey: It is great to be part of this governing organization. They are working very hard to bring roller derby to the world and revolutionizing it. They are a great source of information to help us be the best league possible. Just like with other organizing bodies there are forms that need to be completed and assignments that are required to complete. It was a pretty easy process and taught us a lot. Medusa: WFTDA welcomes all leagues. We had such great support from Colorado WFTDA leagues who helped us to complete all of our requirements to gain full WFTDA membership. Gavin: As part of the league you incorporate charity work as part of functions, contributing to stuff like March of Dimes, ADA, Hope Kids and more. What made you decide to do that, and how has that partnership worked out over the past couple years? Medusa: Charity is huge at WRD. We look at all charities that contact us. The charities give us an opportunity to give back to our community and expose new people to roller derby. This helps both parties! New people get hooked on Roller Derby and we get to help a great cause. Honey: It is always a win-win situation. Charity is very important to us and was one of our major focuses when starting this league. We have done work with the American Diabetes Association, Primary Children’s Medical Center, Friends of Animals, Huntsman Cancer Foundation, South Valley Sanctuary, Big Brother Big Sister, Utah Parent Center, and Autism Speaks. This year we are working with Hope Kids and the March of Dimes. Gavin: Unlike other derby outfits, you have your own arena. How did you come across it, and what was it like refitting the building for arena competitions? Honey: Medusa found this venue for us. It has become our home away from home. I truly love our warehouse. It gives us the freedom to have more practices, more scrimmages and hold games there. It really lets us focus on roller derby and improving our league. Medusa: Oh my goodness!!! This is the best thing ever to happen to WRD. We have so many opportunities to play, train, and work with other groups. It is Roller Derby all the time. 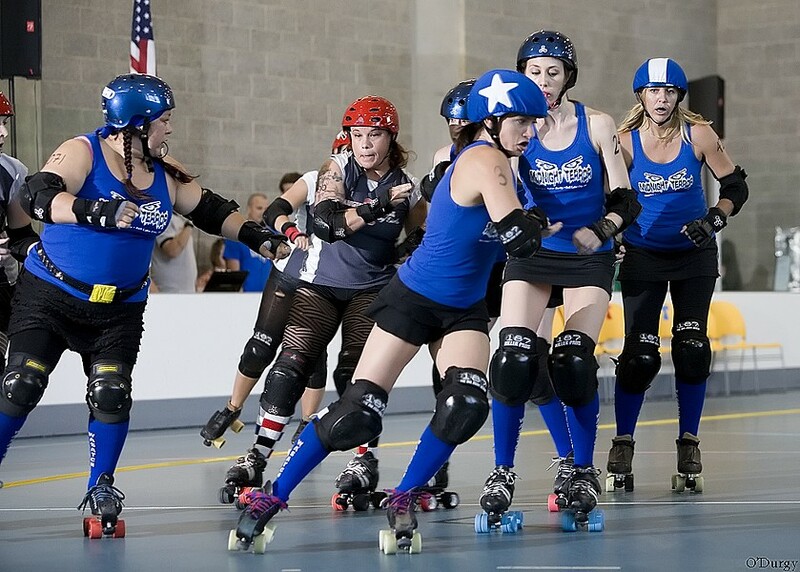 We work with the Red Rockettes and help beginners learn what roller derby is all about. 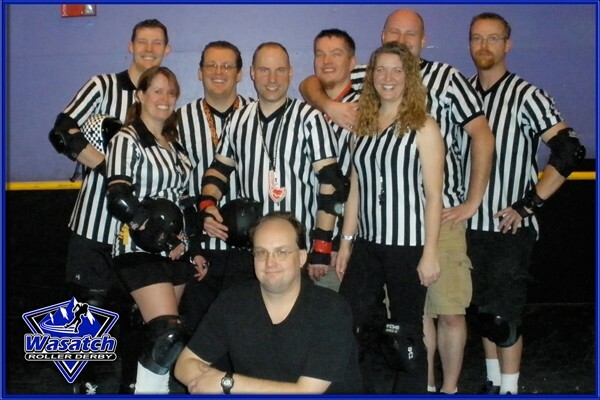 We also work closely with Uinta Madness Roller Derby (Men’s Derby and Co-ed derby) league here in Utah. We are proud to have them at the warehouse. We just recently named out warehouse the Derby Depot!! This is the home of Roller Derby here in Salt Lake!!! Gavin: You've got a big charity event on the way next week. Tell us a bit about it and what people can expect. Medusa: Our first games of the year are always our favorite. It is so exciting for us to be back on the track. You will see the new skaters and veterans come together to play hard to a great charity. We are so excited to be playing for March of Dimes because they do so many wonderful things for families and babies in need. Honey: We always begin our season with our charity games. Our season opener is on February 5th at 7PM at the Salt Palace Convention Center. We will be skating for March of Dimes. The mission of the March of Dimes is to improve the health of babies by preventing birth defects, premature birth and infant mortality. We carry out this mission through research, community services, education and advocacy to save babies' lives. 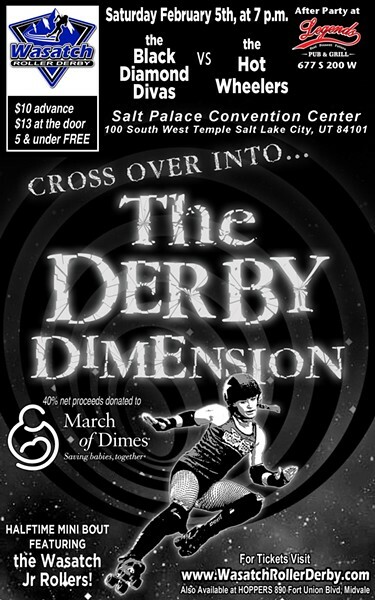 Wasatch Roller Derby will donate 40% of the net proceeds from this game to the March of Dimes. We want people to come and cheer us on but more importantly come and have a fun night out while you donate to this great charity. Gavin: You're coming into your third year here in 2011, what can fans expect to see from the league this year? Honey: We have incorporated home teams and more games. We are growing as a league and will be able to put on great events for the fans. We also have a lot of skaters who are new to WRD. It is always fun to come out support your favorites even if you just like the funny names!! 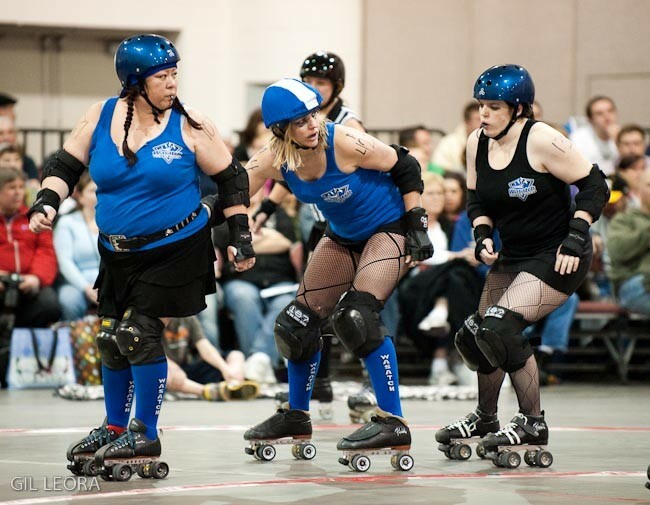 Gavin: Going local for a bit, what's your take on the way roller derby has grown in appeal and participation around the state? 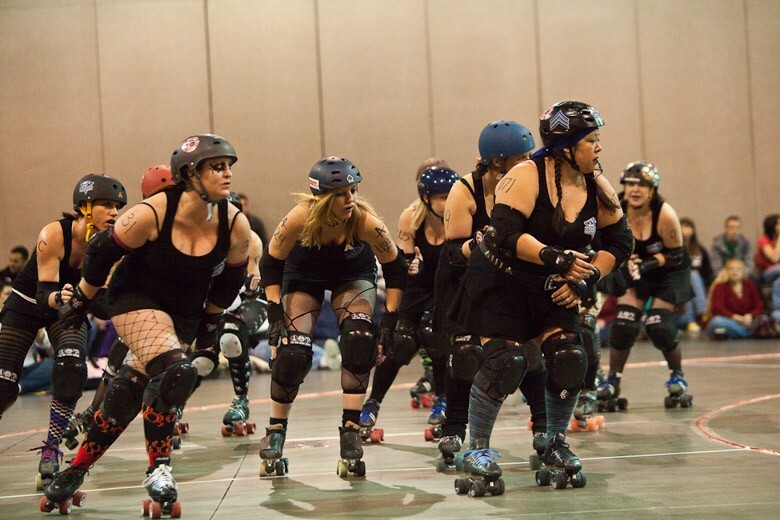 Honey: Roller Derby is growing and growing in Utah. There are now four competitive women’s leagues, a recreational women’s league, a men’s league, and a girls junior league. Once you become a part of it is hard to stop. It is a great source of fun physical activity and you meet some of the most amazing people. People under estimate the dedication that people put into roller derby. We skate between 6-8 hours a week and everyone also has a job with in the league this doesn’t account for our real jobs, families and other commitments. Gavin: What's are your thoughts on the other local leagues around the state and the work they've done to promote the sport? Honey: My view is the more publicity the better. 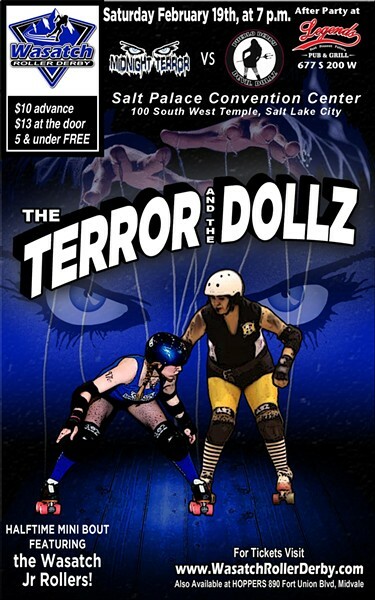 I would say that 75% of people I come into contact with do not know that there is Roller Derby in Utah! The different leagues within the state reach out to very different parts of the population. So keep up the good work everyone and keep spreading the WRD! I really think that it is great to have some many leagues locally. They all have different ideas, focuses and training styles. It is always important for people to find the best fit. Gavin: This past year the SCDG had what appeared to be a league-wide meltdown in public. What's your take on their situation and what impact its had on the sport locally? Medusa: It is never easy running a league. Tough decisions have to be made. At WRD all skaters get a vote. We vote on board members every year. If there are skater issues, it is still voted on. Our skaters have a say in our business. We want everyone to be involved. You have to know the league you are skating for. You should know what they stand for and the values they have. There is not one size fits all. Do your research and join the league that fits you best! Honey: You can never make everyone happy. Every business has politics and it has a way in which it leaders run it. Sometimes this is a good fit sometimes it is not. I dedicated two years to SCDG and I chose to do something different and I felt the backlash from leaving. Everyone chooses which league they skate for. It is important to be where you fit it best and where it most suits your needs and fosters ones ability to achieve their goals. Honestly, the same complaints have been made for four years about SCDG. It just finally hit the media. Gavin: With the growth in competition and fandom, do you believe Roller Derby has found its new era, or does it still have some growing to do before it reaches that point? Honey: It has a lot of growing to do. The biggest is with financial backing. 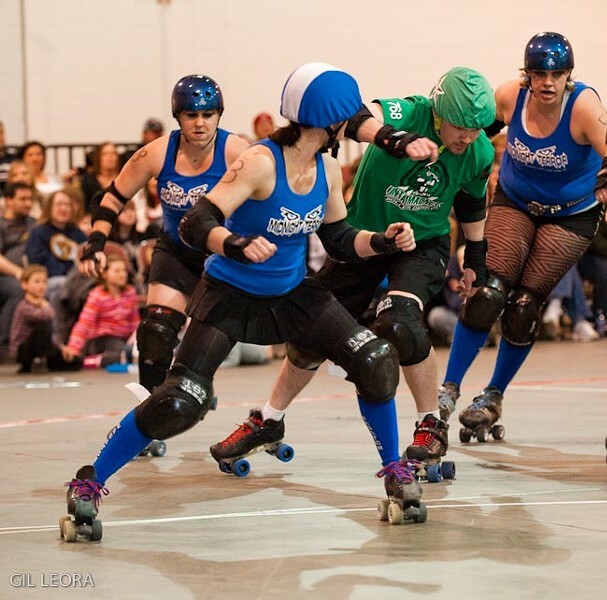 So if there are any investors out there interested in getting into the roller derby action… contact us. We do everything on our own. We train, set schedules, train others, marketing, graphic design, coordinate with charities, obtain sponsorships, print and sell our own merchandise. It needs to reach mainstream. It is doing that in other states such as Colorado but Utah is will working to reach that point. Gavin: A couple years ago we saw the film “Whip It” released. What were your thoughts on the film and the way it portrayed roller derby today? Medusa: I think it was fun to see Roller Derby up on the silver screen. We actually went and saw the movie as a league. It was a really fun experience and worked to bring roller derby more into the main stream. Honey: I think it was a fun movie that helped to bring roller derby more into the main stream. We are not sixteen year old kids rebelling against our parents. We are working professionsal, students, mother who are dedicating a piece of our lives to bettering ourselves…physically and mentally. Also the majority of leagues (I think there are 375-400 leagues not in the world) skate flat track style versus bank track. We are seeing more teams skate on the bank track but they are expensive and difficult to move. It modern day roller derby there are still fun names, big hits and lots of action. Gavin: What can we expect from both of you, as well as the league over the rest of the year? Honey: You can expect to see up on the track giving 110%. We love to put on a good game and we love when fans come out and yell on the side lines. Adrenaline is a big part of roller derby so when you hear people cheering and calling out your name t just makes it that much better. Medusa: You can expect that we will be working hard on and off the track to make Wasatch Roller Derby the best league possible. Medusa: I just want to promote Roller Derby in Utah. Come out and see us on February 5th. IF you want to get involved in a great organizations and make new friends contact us. If you want to sponsor our league contact us!! Our email is info@wasatchrollerderby.com. Honey: If you have never experiences roller derby in Utah now is you chance. Wasatch Roller Derby games are fun for the whole family. You never know… you jus may ant to become a skater (or a volunteer) yourself. For our season schedule and to learn more about our organization check out our website at and become a fan on Facebook.